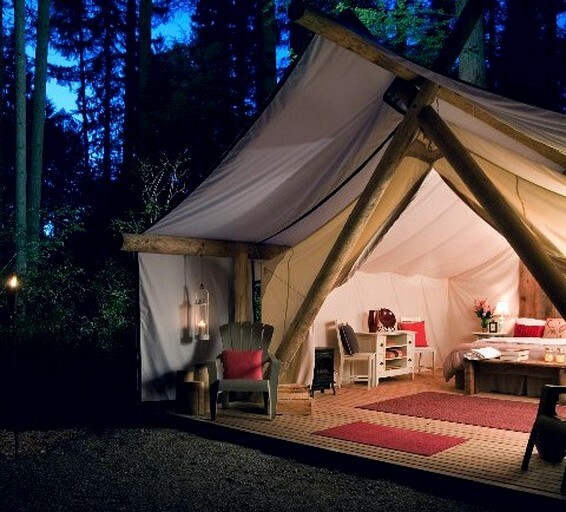 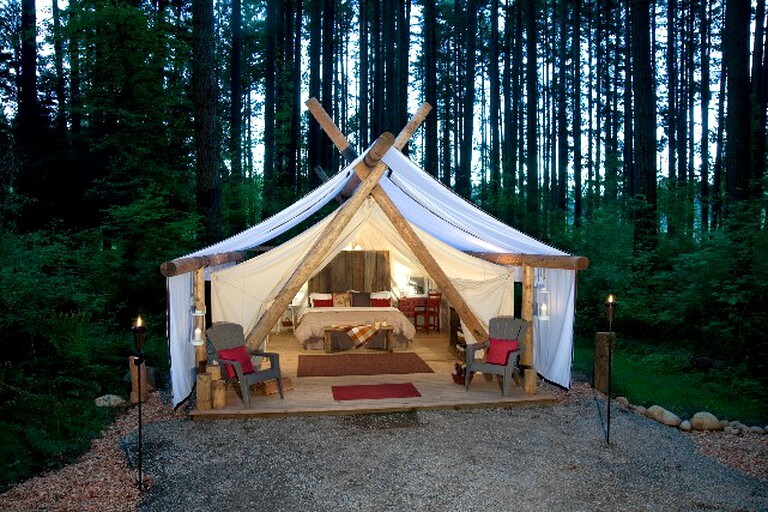 This cozy, luxury safari tent embraces glampers with old world charm near Millersylvania State Park in Washington. 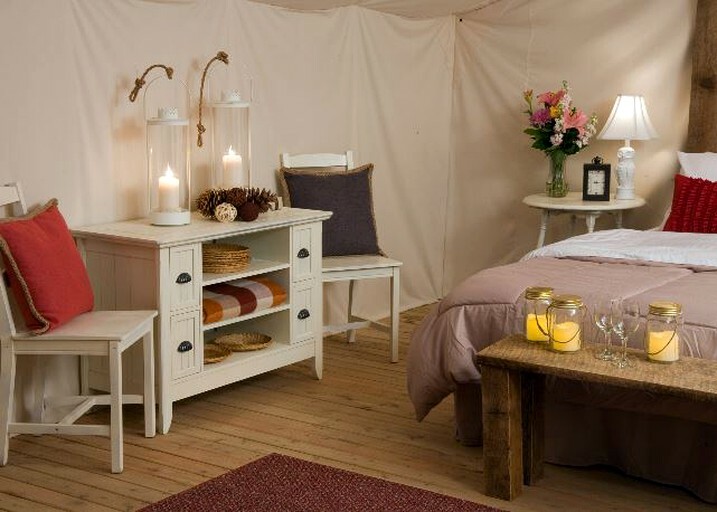 Nestled among the other tented cabins, it is close to the restrooms and showers and is outfitted with a king-size bed to bring glampers maximum comfort and ensure that they feel like they are sleeping on a cloud and will have glampers wanting to lay in bed all day. 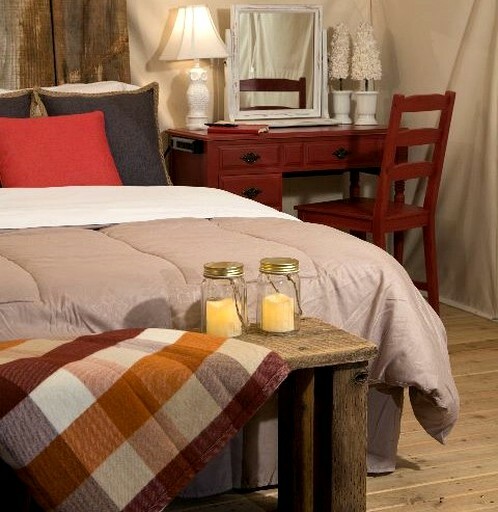 Towels, linens, shower tokens, and wood are also provided by the hosts.